Slip on the 3D glasses to help Woody and his toybox friends escape from the daycare centre of doom! Read the story, add in cool stickers and complete the fantastic activities! 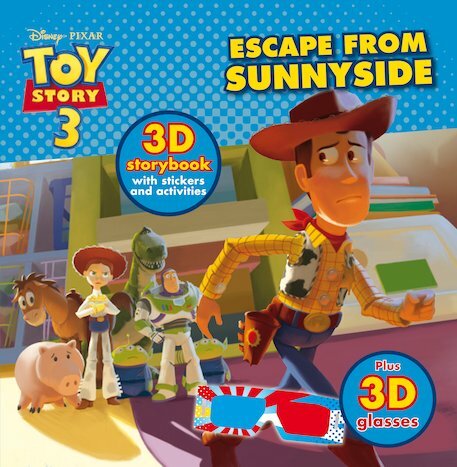 Join the adventure as the Toy Story friends find themselves trapped at Sunnyside Daycare. Can they get away and find a brand new home? Featuring stunning 3D effects, this book is packed with excitement from the blockbusting film. Includes 3D glasses, stickers and fun activities.